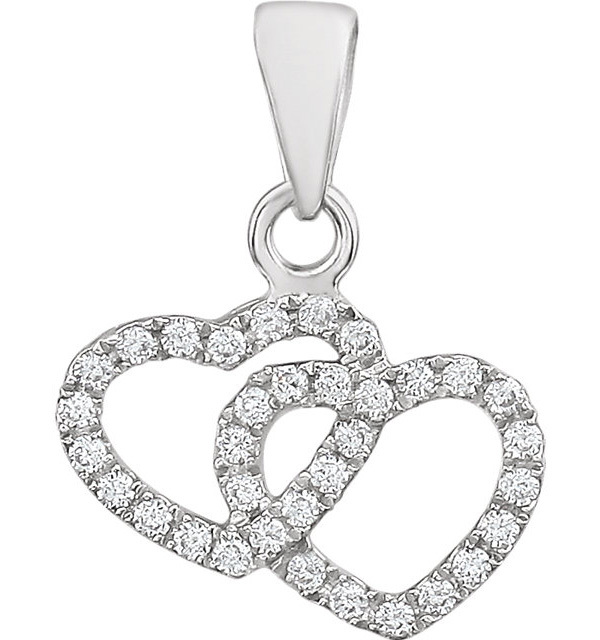 Give her the gift of everlasting love with this beautiful double heart diamond pendant in 14K white gold. With an interlocking open heart design, this diamond pendant is sure to be the gift of her dreams. The pedant measures 0.63 inch by just over 1/2 inch in size, and both of the hearts are covered with thirty-four small diamonds, which are rated H-I for color and I for clarity. The diamonds total 0.17 carats, or 1/6 carat total weight, adding plenty of sparkle to this white gold pendant. 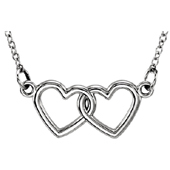 We guarantee our Double Heart Diamond Pendant in 14K White Gold to be high quality, authentic jewelry, as described above.